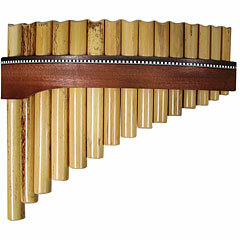 Pan pipes use a succession of various length tubes to generate sound. 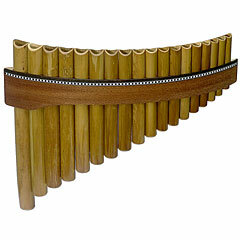 The name Pan Pipes derives from the shepherd god Pan who was often seen playing pipes. 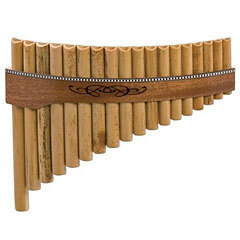 Pan pipes belong to the flute group of wind instruments and can be made from wood, bamboo, metal, bone, clay, glass or reeds.